The city pretty much draped in black and white ribbons since the country is mourning the death of their 9th king who ruled the country for almost 70 years (world record for a dynasty). We wanted to have a tea with the Prime Minister, but he was busy dealing with the latest Red and Yellow protests. It is interesting that the Red shirt political party is lead by a historic wealthy arms dealer who has organized the farming population of the country to upset the historical monarchy and Yellow shirt traditionalists. It sounds like every country is having the same political problems. 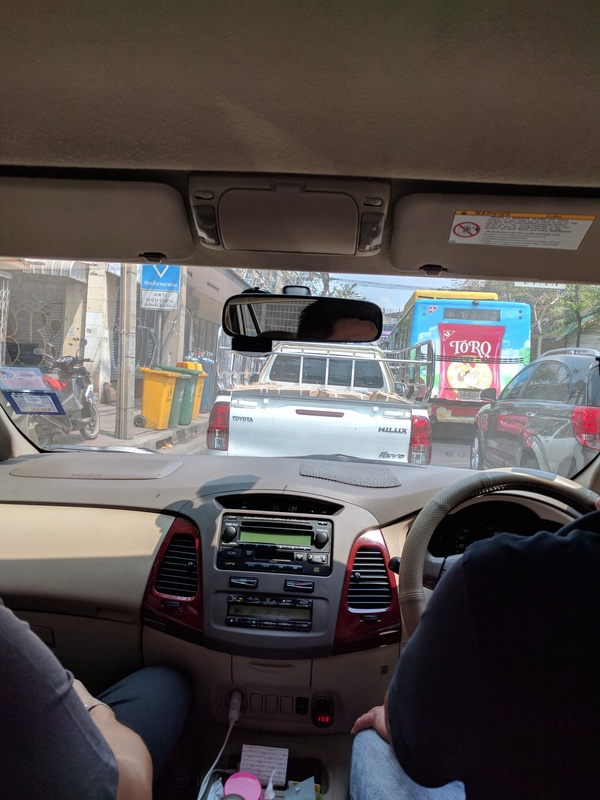 Regardless of protests, the traffic is brutal in Bangkok (like every large city). It felt like a combination of New Delhi and London. The drivers swarm everywhere, but they are very polite, follow all rules, never honking their horns. Quite efficient. 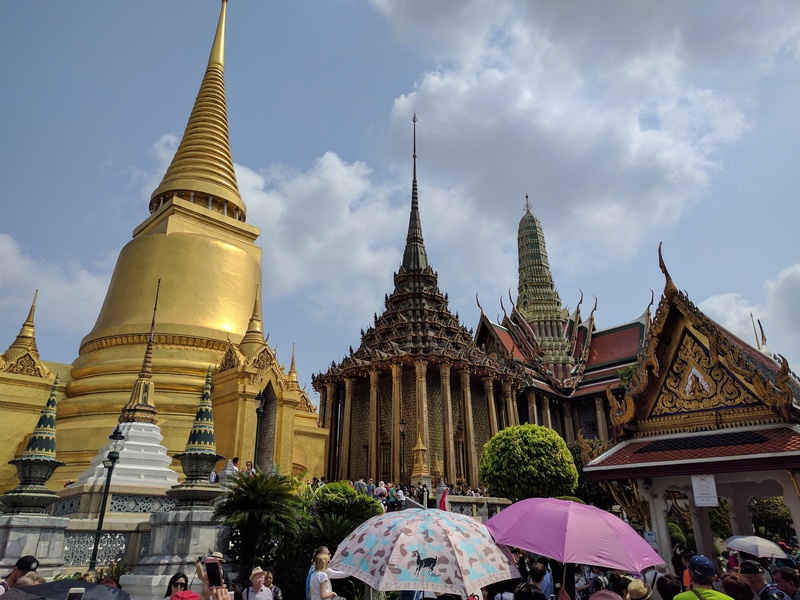 Of course, we had to visit the Royal Palace and Golden Temple (Stupa). It was filled with millions of locals and tourists. The dominated crowd was Chinese and they will push you out of the way if you are in their way for more than ½ a second. The soldiers yell and whistle at everyone, but it does not make any difference. 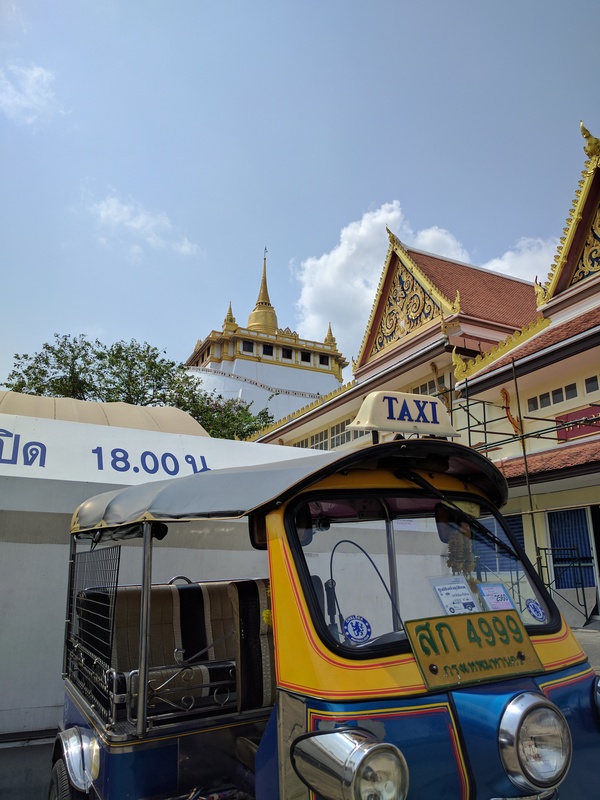 This is definitely the most famous tourist stop in Bangkok and worth a visit, but you better be prepared for waves of people with no organization or controls…unless you want a Buddha tattoo. The city is filled with billboards and signs warning about this. 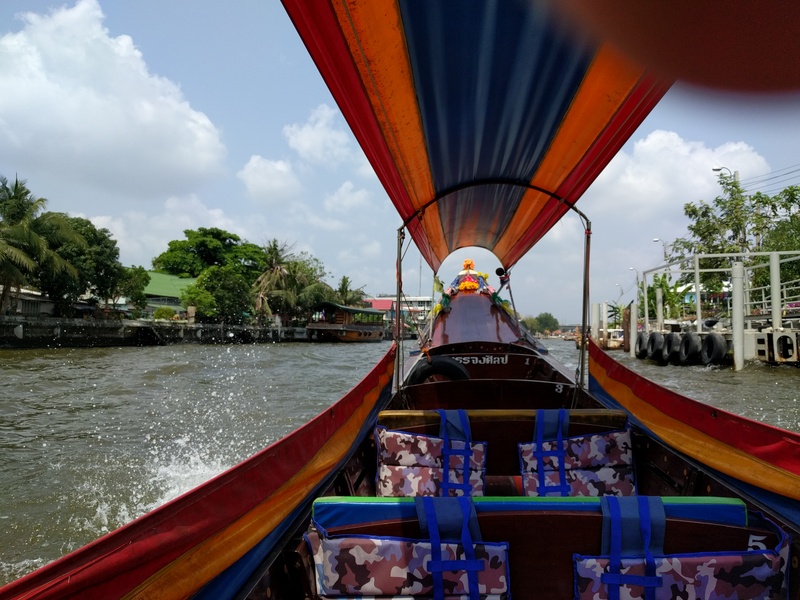 From there, we decided we needed a break, so we walked over to the canals and hopped on to one of the customary unique long canal boats. 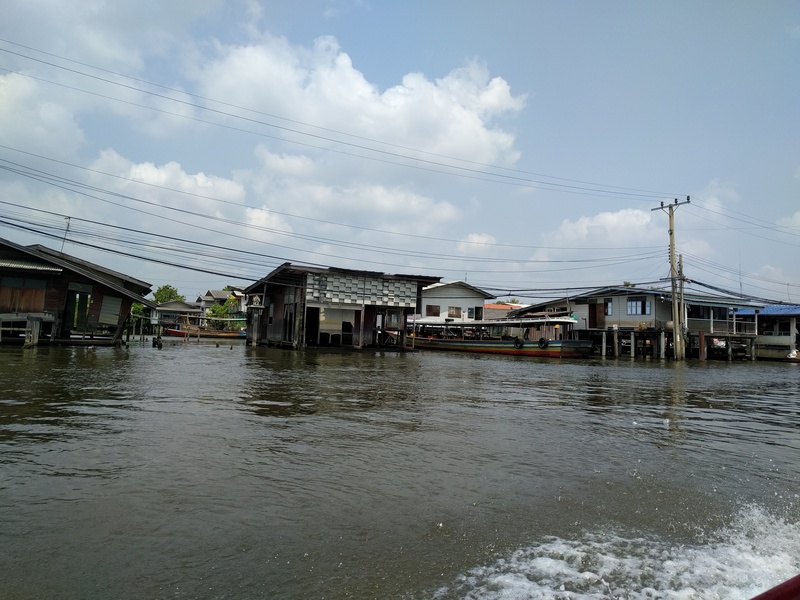 You really get to see a different part of Bangkok by spending an afternoon cruising around the canals. 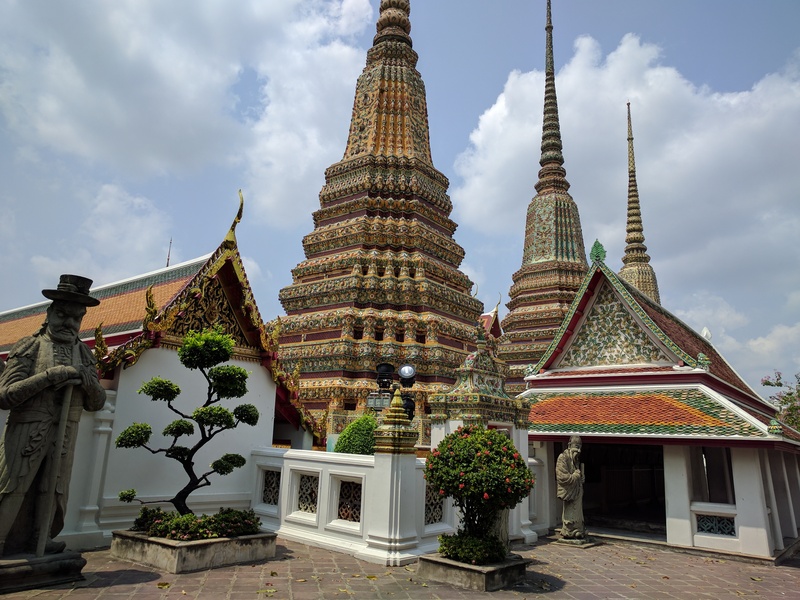 We grabbed a quick lunch near the local flower and vegetable market and then headed to Wat Pho. 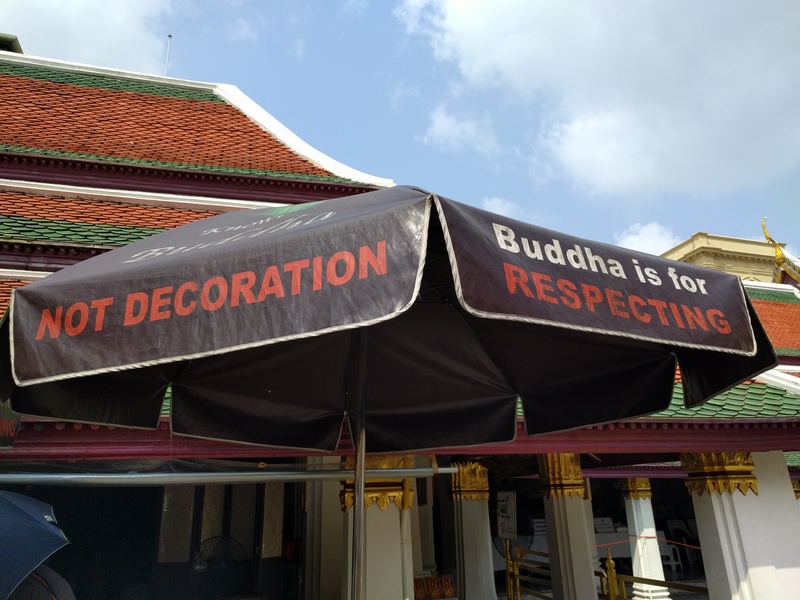 Yes, it is one of the 600+ temples in Bangkok. 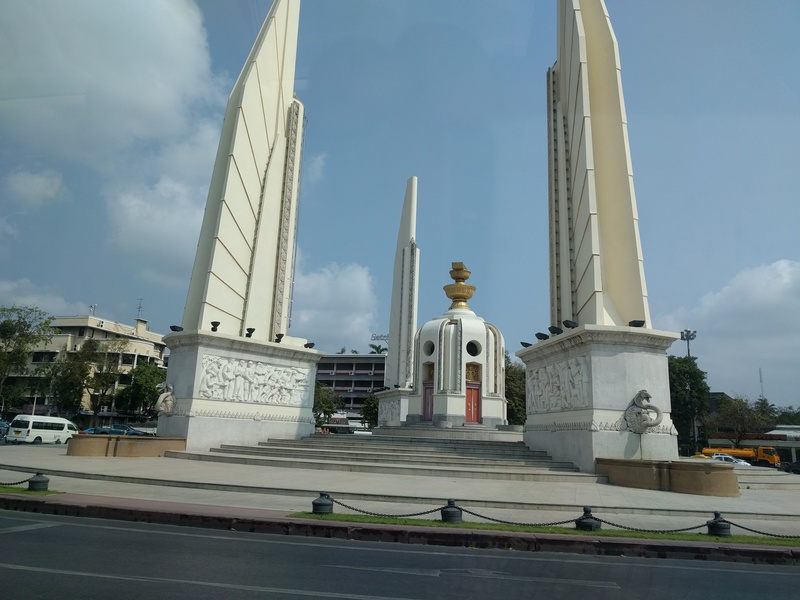 It is also holding a special memorial for the recently deceased King. 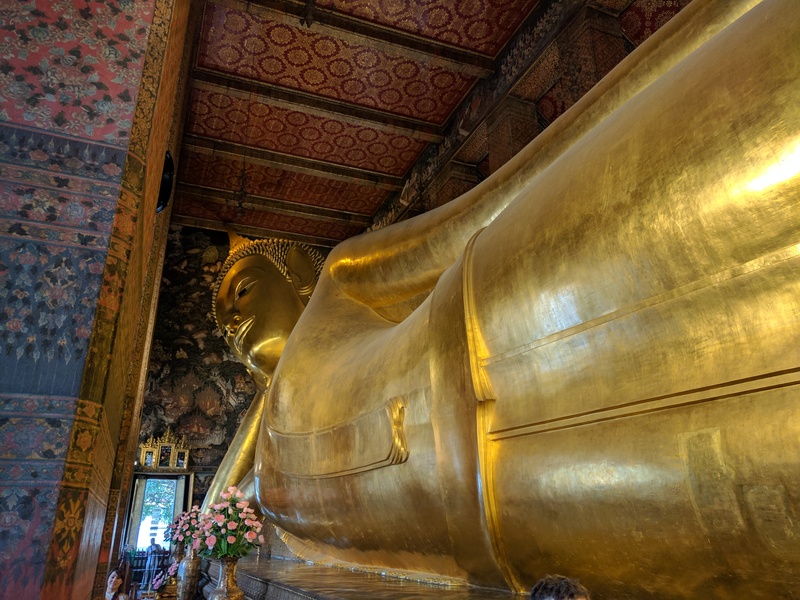 Now, here is the surprise: the reclining Buddha. I have to admit this is an amazing site to see and had the same allure, magic and experience of visiting the Taj Mahal in India. A must see and hard to describe until you see it yourself. 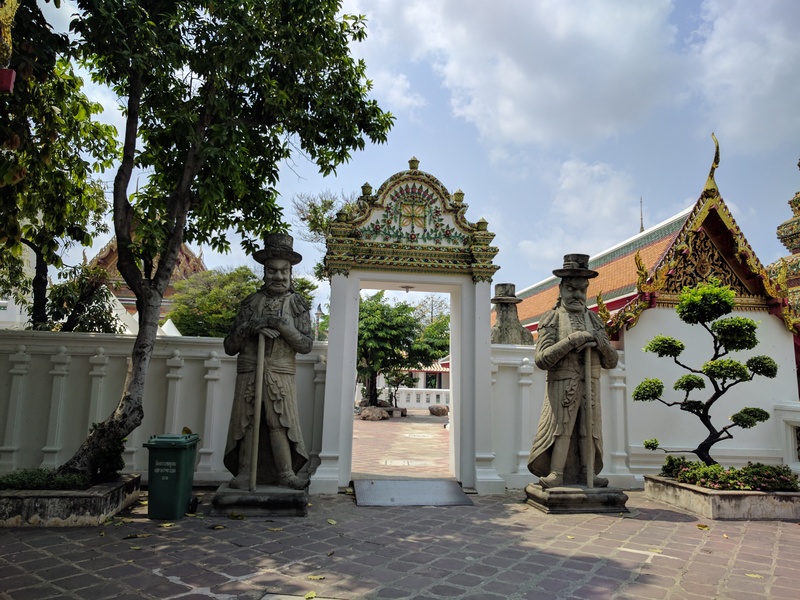 And one final site before headed out of the city, we stopped and gave a visit and a listen to the temple on the mount known as Wat Saket. It has bells all along the exterior and in the wind, they make quite a melodic sound. Interesting montage of the old and new in this picture isn’t it? 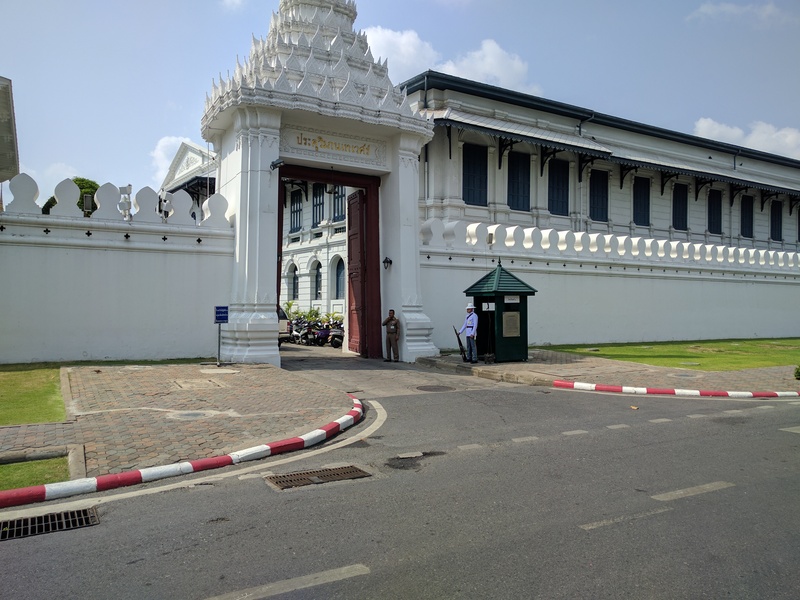 This entry was posted in International, Travel, Uncategorized and tagged Museum, Thailand, Travel. Bookmark the permalink.